MJ Bio-Rad DNA Engine Tetrad 2 Peltier Thermal Cycler PTC Alpha Well Blocks . 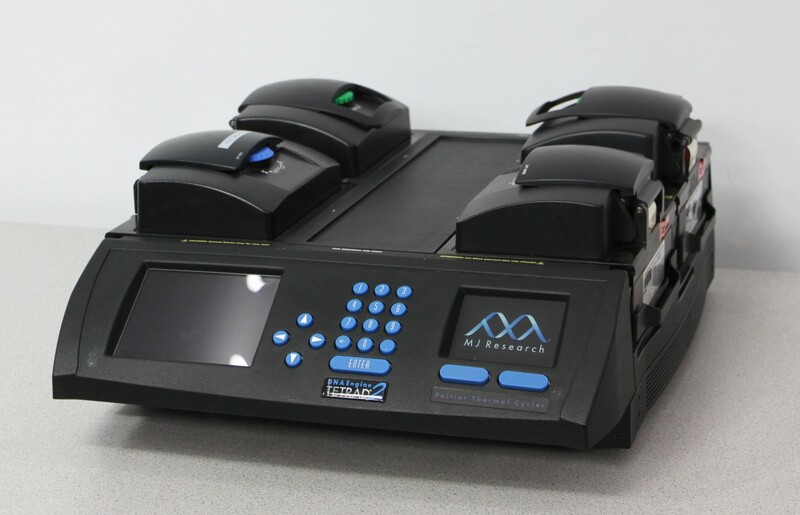 New Life Scientific, Inc.
What is special about this Thermal Cycler? DNA Engine Tetrad 2 cycler delivers multi-block thermal cycling with superior thermal performance. It’s programmable which makes it ideal for multiple protocols and accommodating multiple users. How was this cycler tested? cycle. Each of the 4 blocks was able to hold at the desired set temperature. What kind of condition is this in? All of the lids were opened and closed, tightened and loosened with no issues or problems found. Cosmetically this is in good condition with normal wear and is a good working unit ready to work for you. This cycler has the power cord included and uses a big block cable.